Gecko Robotics aims to save human lives at our nation’s power plants with its wall-climbing robots. To continue doing so, the startup tells TechCrunch it has just secured $7 million from a cadre of high-profile sources, including Founders Fund, Mark Cuban, The Westly Group, Justin Kan and Y Combinator. We first reported on the Pittsburgh-based company when co-founder Jake Loosararian came to the TechCrunch TV studios to show off his device for the camera. Back then, Gecko was in the YC Spring 2016 cohort, working with several U.S. power plants and headed toward profitability, according to Loosararian. The type of robots Gecko makes are an important part of ensuring safety in industrial and power plant facilities as they are able to go ahead of humans to check for potential hazards. The robots can climb tanks, boilers, pipelines and other industrial equipment using proprietary magnetic adhesion, ultra-sonics, lasers and a variety of sensors to inspect structural integrity, according to a company release. While not cheap — the robots run anywhere from $50,000 to $100,000 — they are also obviously a minuscule cost compared to human life. 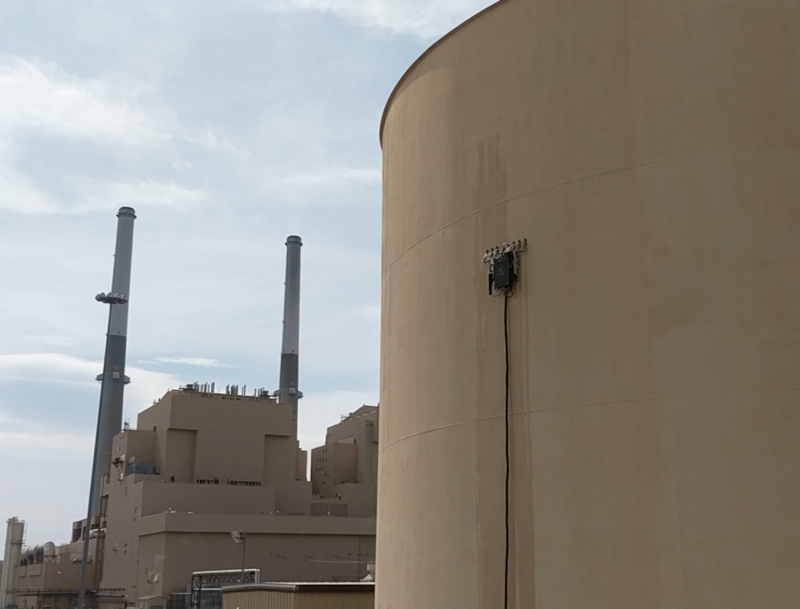 Gecko robot scaling the wall for a safety inspection at a power plant. Loosararian also mentioned his technology was faster and more accurate than what is out there at the moment by using machine learning “to solve some of the most difficult problems,” he told TechCrunch. It’s also a unique enough idea to get the attention from several seasoned investors. Diesel_tank_A from Gecko Robotics, Inc on Vimeo. Previous articleDoes implicit wait set to 30secs will always wait 30secs even if it finds the element at 5 secs? How to run JMeter test plan for specified amount of time?